In 1966 the University of Florida had never won an SEC championship. Their goal that year was to win that elusive title and go undefeated for the first time in school history. The reason for all this optimism was senior quarterback and Heisman Trophy candidate Steven Orr Spurrier. When the Gators arrived in Jacksonville to face Georgia, they were 8-0 and ranked No. 7 in the country. The Bulldogs had only one loss, a 7-6 defeat at the hands of Miami, and were not ranked in the top 10. 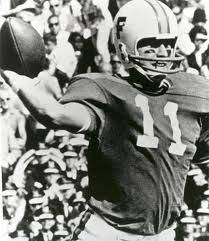 To cut to the chase, Georgia hounded Spurrier all day long with a seven man rush, forcing him to throw both his third and fourth interceptions of the season. 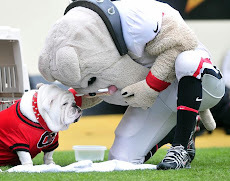 The second one was a pic-six by the Dawgs Lynn Hughes. 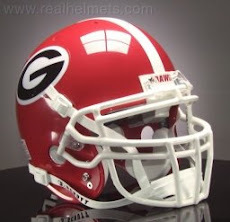 Meanwhile, Georgia's ground game ate up the clock and the Gator defense, forcing the battered Spurrier to spend much of the fourth quarter as a weary spectator on the sideline. Bulldog quarterback Kirby Moore scored with one second left on the clock to make the final score 27-10. Florida finished the season 9-2 , while Georgia shared the SEC title with Alabama with a 10-1 record. The loss to Georgia was the worst defeat of Spurrier's career, putting an everlasting damper on his Heisman Trophy winning season. Once when asked what he remembered most about his senior season, he simply replied "the loss to Georgia". 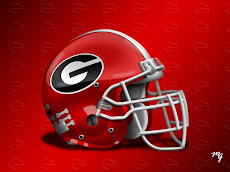 The above recount of the 1966 UGA-UF game is the reason Spurrier has spent much of his college coaching career trying to pay Georgia back for pretty much wrecking his college playing career. Makes one wonder if that will be on his mind Saturday in Columbia...Just sayin'.